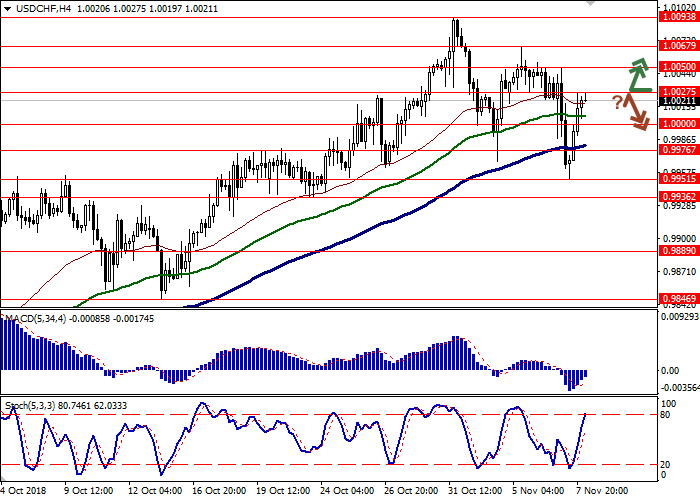 On Wednesday morning, USD fell sharply against CHF but then recovered to the levels of the session’s opening. USD in under pressure of US the mid-term elections’ results, according to which the Democratic Party won a majority in the House of Representatives but the Republicans managed to retain control over the Senate, so the current administration may experience difficulties in the implementation of domestic policy. Democrats are likely to impede further tax cuts and the abolition of Obamacare. Also, if necessary, the issue of impeachment can be raised. Today, investors wait for Fed’s meeting results. The regulator is expected to leave the rate unchanged at 2.25% and explain its further actions for 2019. The market expects another three rate hikes next year but the President’s pressure and the trade conflict with the PRC may make FOMC slow down the rate of monetary tightening. On the daily chart, Bollinger bands are growing moderately. The price range narrows, reflecting the ambiguous recent trade. MACD indicator is falling, keeping a weak sell signal (the histogram is below the signal line). Stochastic tends to reverse flat, located approximately in the center of its working area. The current readings of the indicators are controversial, so it is better to wait until the signals are clear. Resistance levels: 1.0027, 1.0050, 1.0067, 1.0093. Support levels: 1.0000, 0.9976, 0.9951, 0.9936. 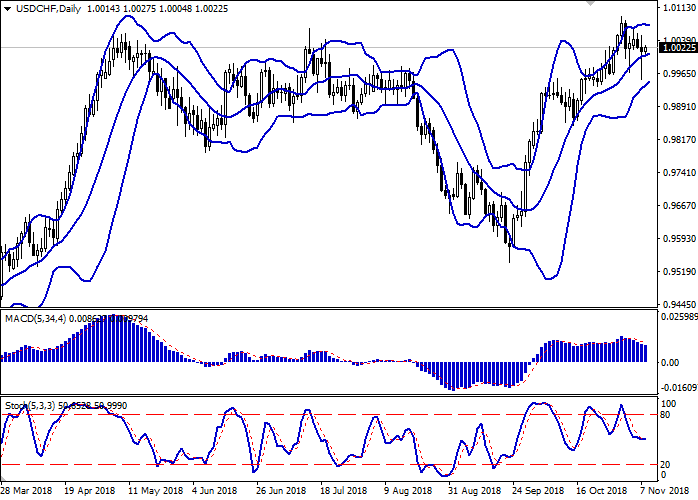 Long positions can be opened after the breakout of the level of 1.0027 with the target at 1.0067 or 1.0093. Stop loss is 1.0000. 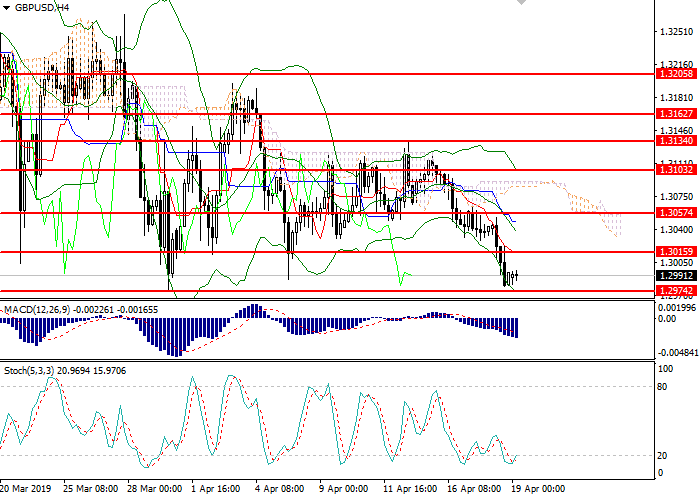 Short positions can be opened after the rebound from the level of 1.0027 and the breakdown of the 1.0000 with the targets at 0.9951–0.9936. Stop loss is 1.0020.